Two open houses will give Farragut residents a chance to suggest uses for the historic Campbell Station Inn. The Campbell Station Inn has witnessed two centuries of growth in this area. The Federal-style building was constructed in the early 1800s on the site of David Campbell’s settlement and was one of the earliest inns in the state. It served families, hunters and stock drivers, and is rumored to have hosted President Andrew Jackson and Louis Phillippe, who later became king of France (1830-1848). It’s listed on the National Register of Historic Places. The inn was sold to the Avery Russell family before the Civil War. During the Battle of Campbell’s Station in 1863, it served as a temporary hospital. The building was home to six generations of the Russell family until the town purchased it in 2012. What will it be next? The stabilization of the inn is nearly complete, and Phase 3 (construction of new entrance roads, a plaza, parking, a restroom and park-like open spaces) is expected to be completed by winter 2020. During Phase 4, the interior of the inn will be finished for a use chosen by the Board of Mayor and Aldermen. They want your input. If you have ideas for the future use of the Campbell Station Inn, now is the time to chime in. 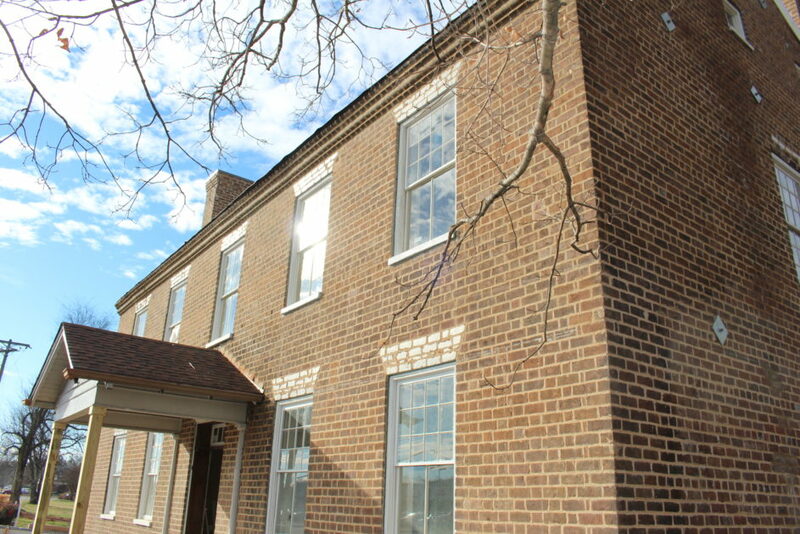 The public is invited to two open houses: Sunday, Feb. 17, and Sunday, March 3. The inn, located at the northwest corner of Kingston Pike and Campbell Station Road, will be open 1:30-3:30 p.m. on both days. Comment cards will be collected at the open houses, and anyone can send feedback. It’s easy to imagine interesting uses for the building. But those who are familiar with historic properties know that 200-year-old homes don’t always lend themselves well to modern purposes. The inn isn’t large – not even close to the size of some of the homes in Farragut – and both floors are divided into multiple rooms. Currently, the building has no kitchen or bathroom, though these might be added later. Many have suggested that the inn be converted to a house museum. The truth is that house museums are expensive to run and staff, and there are already seven in Knox County. Crescent Bend, another Federal-style home, was built around the same time as the Campbell Station Inn. Others have proposed that the Farragut Museum move to the inn. But only the first floor could serve as exhibit space since the second floor isn’t ADA accessible, and that area is much smaller than the existing museum. The current location is ideal because many museum patrons combine visits with other Town Hall business. What are the other possibilities? That’s what we’d like to hear from you. The building could house a nonprofit or even a for-profit organization that could operate in conjunction with the public outdoor space, which will eventually be available to rent as a venue. It could also be used as office space for town staff. The inn’s proximity to the Farragut Community Center, which is expected to open in late 2019, creates other interesting possibilities. The Campbell Station Inn has a storied past. Let’s put our heads together to make sure it has an equally interesting future. Wendy Smith coordinates public relations and marketing for the town of Farragut.